The company left the islands in 1997, but it had already been ordered to make $180 million in loans, partially because of discrimination against Native Hawaiians and Filipinos. 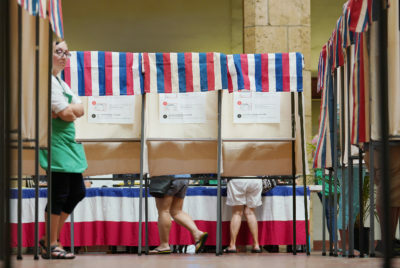 LIHUE, Kauai — A 26-year-old controversy over $180 million in allegedly unmet mortgage lending commitments by Bank of America for Native Hawaiians and Filipinos statewide and Native Hawaiians on Kauai in particular is generating new interest from state officials. Gov. David Ige and members of the Hawaii Senate are pressing the bank to reopen negotiations over the withheld funds. The dispute has its roots in the early 1990s in separate but related developments in the Hawaii mortgage market concerning proposed merger plans by Bank of America before it left Hawaii. Bank of America ceased retail operations in Hawaii in 1997 when it sold its branches here to American Savings Bank. 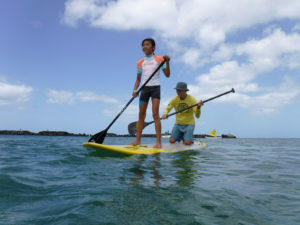 Requirements that the bank make $150 million in Hawaii mortgage loans in general and $30 million on Kauai to help repair damage from Hurricane Iniki in 1992 were part of an order issued by the Board of Governors of the Federal Reserve in 1994. The order directed Bank of America to correct patterns of systematic discrimination against Native Hawaiian and Filipino mortgage borrowers. The allegations were most recently set forth in a letter from Ige to a top Bank of America official last year and in a now-pending state Senate resolution that demands that the bank send representatives to Hawaii to negotiate a resolution of the disputes. 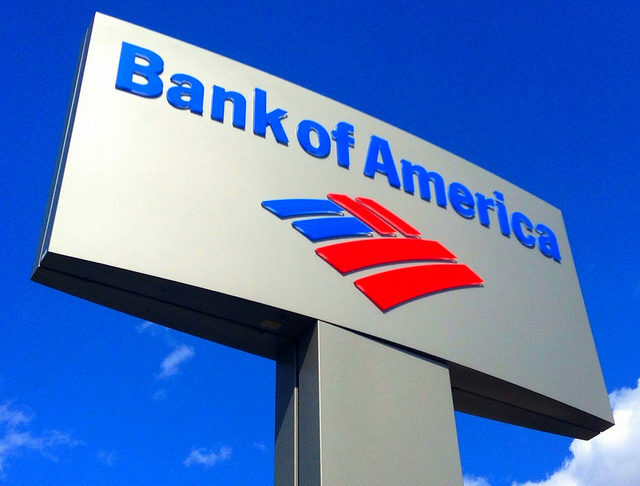 Bank of America has not responded to several requests for comment, but in a letter last year responding to Ige’s correspondence, a bank official said the company had fulfilled its Hawaii obligations. The allegations first surfaced in 1993. 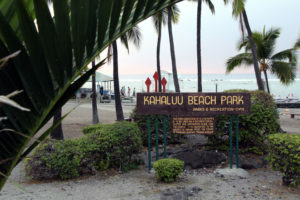 But according to fair lending advocates Ian and Shay Chan Hodges, of Maui, who have pursued Bank of America for decades over the allegedly unmade loans, when late fees are computed and lending amounts still due are calculated, loan obligations statewide would total $227.8 million in today’s dollars statewide and $81.5 million for Kauai. Some estimates of the total in today’s dollars are even higher, with the Maui County Council, in a resolution passed last November, putting the statewide number at $360.6 million. 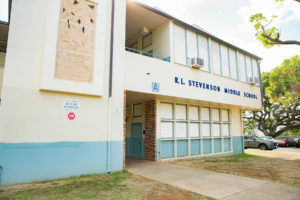 According to Ian and Shay Chan Hodges, additional “lost opportunity costs” to Kauai residents may total $72.7 million on top of the balance of unmade loans. In a letter last August to Catherine Bessant, Bank of America’s chief operations and technology officer at the bank’s North Carolina corporate headquarters, Ige offered to host negotiations to “reach a fair and final settlement” of the dispute. Gov. David Ige tried to launch negotiations to settle the dispute in a letter he sent to Bank of America last year. Bank of America exited the Hawaii retail banking market in 1997 when it sold its branches here to American Savings Bank. However, the Hodgeses contend that the lending commitments left over from the Fed order remained fully in force. 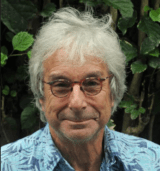 After sending his letter to Bessant last year, Ige filed a Freedom of Information Act request for documents from the Federal Reserve Board of Governors detailing the Hawaii lending programs. Although the Fed took months to respond, more than 600 pages of documents arrived in Ige’s office in Honolulu last week, where they are still being analyzed. The governor’s office shared all of the documents with Civil Beat, which has also been examining them. Under the original terms of the agreements, Bank of America was to have made the $150 million in statewide loans by 1998 and the $30 million in Kauai loans during a two-year period following Hurricane Iniki. Sen. Kai Kahele, a Hilo Democrat and the author of the Senate resolution urging the bank to enter into new settlement negotiations, told Civil Beat that “From the data provided by (the U.S. Department of Housing and Urban Development), we know that Bank of America originated only 106 residential mortgage loans since 1994 for a total amount of $13.1 million. 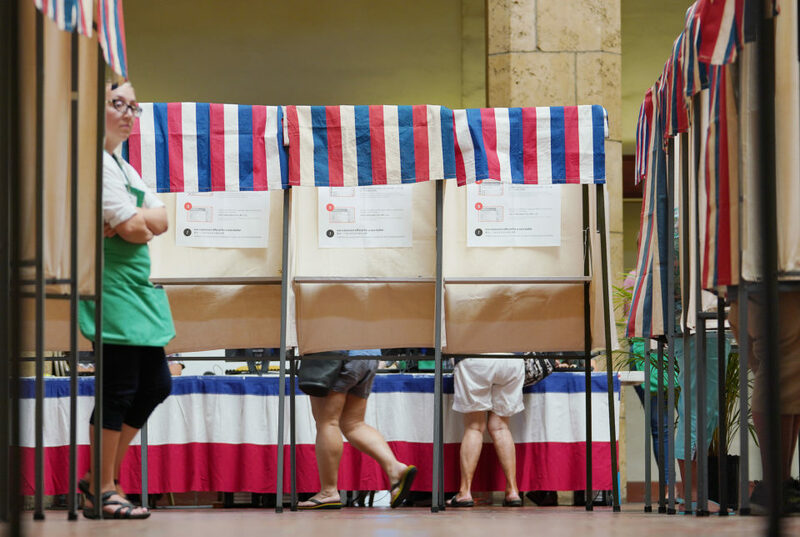 “This is less than 10 percent of the $150 million Bank of America committed to the Office of Thrift Supervision and the Federal Reserve Board,” Kahele said. “We expect its chief operations and technology officer to return to Hawaii to … reach a fair and final settlement of all of its Hawaiian Homeland commitments,” Kahele said. Hilo Sen. Kai Kahele wants to force the bank to resolve the allegations. 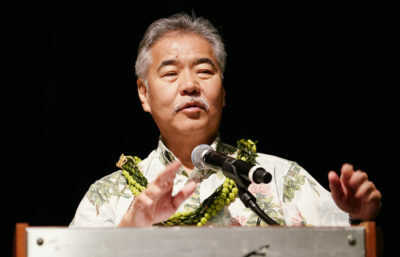 In his letter, Ige noted that the loan dispute had its origins when Bank of America filed an application to purchase Liberty Bank in Honolulu in 1993. In May 1994, the Fed Board of Governors issued an order approving the merger, but “specifically conditioned upon compliance with all of the commitments made by Bank of America” for the additional lending. The loans had been demanded by the Hawaii Fair Lending Coalition and a Native Hawaiian group, Na Poe Kokua. An additional agreement on the lending terms was reached in 1998. 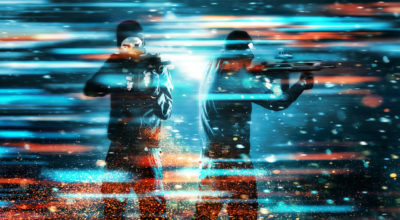 Although media coverage of the dispute was extensive from 1993 to 2004, almost no mention of the controversy has appeared in the media in the last 14 years. Ian and Shay Chan Hodges said they decided to reopen the controversy out of frustration that almost no lending had ever materialized. When Bank of America responded to Ige’s letter demanding reopening of negotiations, which the governor’s office sent in April 2018, Brian Putler, the bank’s senior vice president for state government relations in Sacramento, produced a letter from 2007 in which a deputy chairman of the Department of Hawaiian Homelands acknowledged fulfillment of the lending commitment. 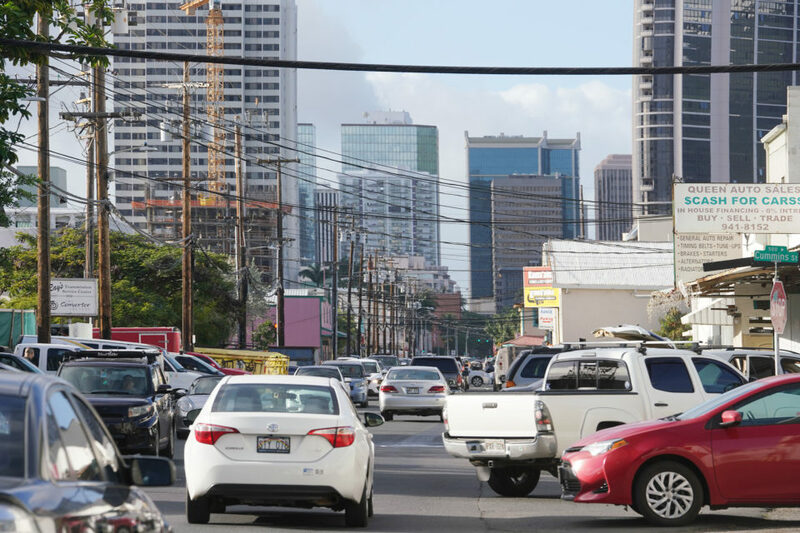 “The bank fulfilled — and exceeded by many times — the $150 million lending and investment goal through our community development loans and investments in Hawaii,” Putler wrote. 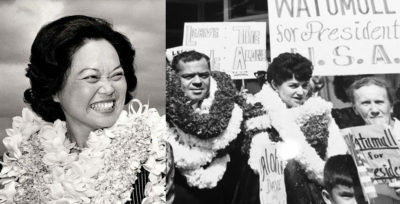 But a letter written in May 2012 by the then-chairman of the Hawaiian Homes Commission, Albert “Alapaki” Nahelea, contended the original 2007 correspondence had been unauthorized. 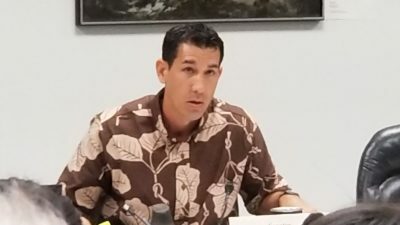 The Maui County Council supported Ige’s attempt to force reopening of negotiations with Bank of America in a resolution it passed last year. 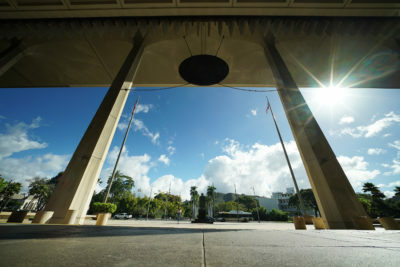 A public hearing on Kahele’s proposed Senate Concurrent Resolution 45 is scheduled before the Hawaiian Affairs Committee on March 28 at 1:15 p.m.
Read Gov. David Ige’s letter to Bank of America below.